The wedding season is very close and you can now start creating a list of wishes in the Amazon Registry. We know how easier it is to have all your wishes in one place, this is a wonderful opportunity to get everything organized and well planned before the BIG day, it will be fun for you and also it will make it very easy for your guests to choose and order from your wish list. Do you want the same dress of this pic? You can get it now, please click here or on the photo. What are the benefits of creating an Amazon Wedding Registry for your wedding wish list? Easy returns and exchanges: If the color isn’t right or the couch doesn’t fit, you can take your time to figure it out. 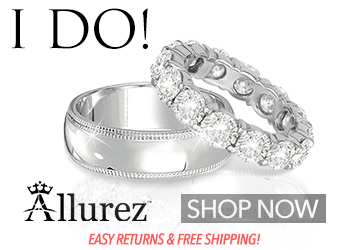 You will have 180 days to return a wedding gift from your registry. Shared gifting on big ticket items: don’t worry about adding higher priced items to your registry. With Amazon Wedding Registry, you get access to a Group Gifting feature so friends and family can all contribute to pricier items they love. 2 gifts for the price of 1: you can get some extra love delivered to your front door. If your guests buy registry items from select brands, you get a free gift! Special discounts just for you: is there that one must-have gift still remaining on the registry? you can enjoy a one-time 20% off discount on anything left on your registry before the big day. A register without limit. You can basically add anything you want! Never miss a THANKS! A list of the guests who purchased from the registry will be created and a THANK YOU message sent to each of them! 5% BACK on BIG ITEMS. With an Amazon Prime Store Card, you and your guests earn a 5% cash back to spend on anything on Amanzon. Find out even more benefits here. The BIG DAY is coming, it is time to be active and have some fun and excitement, create a wish list on Amazon Registry now! Spring has started, we are now waiting to see the grass coming out of the snow in certain parts of the world, while in others the birds are already singing and the grass gets greener and greener day by day. No matter where you are, it’s time to start anew, it’s the moment of rebirth, of the mind and of the body and why not of the wardrobe as well. This is the period in which weddings, parties, dates are likely to happen more often. This is a period of joy and celebration. Think about wearing a new dress, one of those that takes your breath away, feel the moment you will put on the dress, close the zip behind your back, wear that pair of shiny glossy shoes. You look at yourself in the mirror and you realize how gorgeous you are with that 50s style makeup! Probably now you are thinking about your current wardrobe, there you can find only winter clothes, and the only spring clothes you have are t-shirts, jeans, basic skirts. Nothing new, nothing exciting. Why not reinvent yourself and your sense of style this spring, for example with a retro-inspired cocktail dress? For more retro-inspired cocktail dresses visit the shop and this blog often. For all those of you, who like to wear high-quality fine jewelry, this is an amazing opportunity! Through March 10, 2018, you can receive a FREE Women’s Timepiece with an order of $1,500+ (valued at $540) when you spend $1,500 or more. 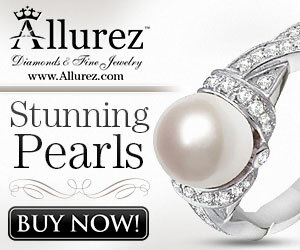 Allurez provides you with precious jewelry expertly crafted in the USA. Top Quality. 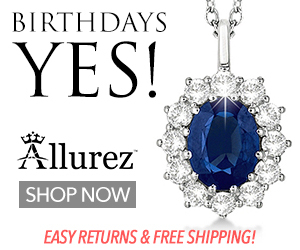 Just click on the banner below to find this promotion.